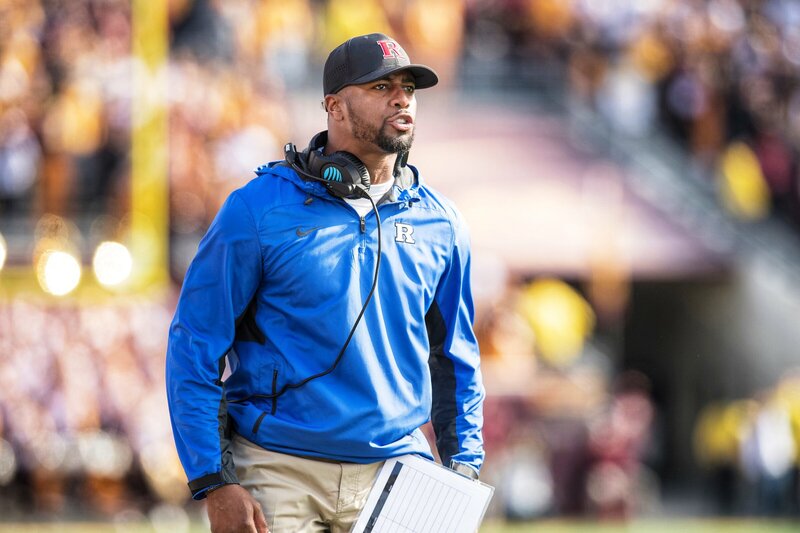 After a little bit of a delay between the leak and the announcement (I’m guessing due to background checks), Jafar Williams was hired to replace Holmon Wiggins as wide receivers coach. As a hire, Williams ticks a lot of the boxes I like to see with position coaches. He’s got a nice blend of youth and experience, having been a solid player at Maryland from 2000-2003 who has coached in a lot of different systems, including Pat Fitzgerald’s, Chris Ash’s, and Matt Canada’s. I like that he’s a receiver who has spent most of his career coaching receivers. I don’t think there’s a high-level coach out there who can’t book-learn an unfamiliar position, but there’s something to be said for grasping the nuances of the position, and having fast eyes that can decipher technique flaws from what would be blurs of motion to less experienced coaches. I also like that he has some familiarity with the scheme. Probably the biggest resume gap is a lack of NFL experience, which can help with high-profile recruits; Williams went undrafted and bounced around training camps before getting into coaching. I’m not so concerned about the lack of P5 coaching experience, which I think is overblown.